Raised in an immigrant family but as an outsider in her community, Natasha Warikoo always knew that race mattered. It became even more apparent after she got to college. 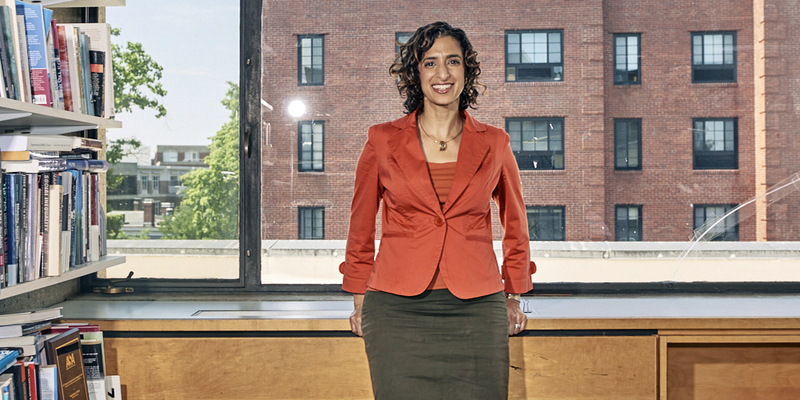 When she became an associate professor, Warikoo wanted to even better understand how undergraduates make sense of race, particularly as it relates to the admissions process that rewarded them in the first place. 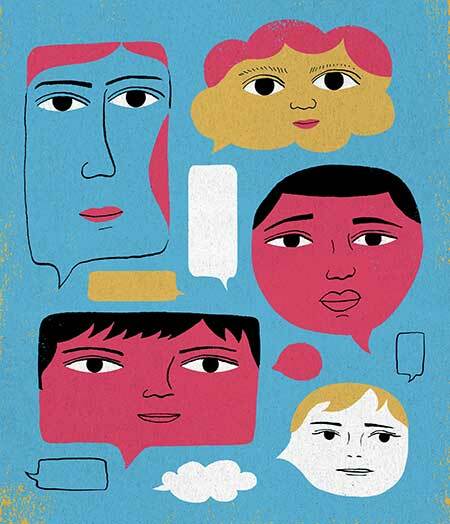 What she discovered made her realize that parents and K–12 institutions need to do better at preparing students for meaningful dialogue around inequality, diversity, and harmful blind spots. When Associate Professor Natasha Warikoo, Ed.M. '97, was growing up in Johnstown, Pennsylvania, she and her parents — first-generation Northern Indian immigrants — were among the few non-white residents in the racially homogenous, small steel-producing town. “We had different rituals, we didn’t go to church, we went to the temple, and we had different holidays. Everyone was going through their confirmation when we were 11 or 12, and I didn’t even know what that was,” Warikoo says. She knew she was different. And when it was eventually time for her prom, she also knew it was unlikely that anybody would ask a brown-skinned girl to the dance. Nobody did. It was one of many instances in which she had been excluded, teased, or bullied because of her background. She also knew she was smart. “Kids would make comments to me at school like, ‘Man, I wish I could get A’s like you.’ And in my mind, I’d think, ‘Yeah, you’ve just got to study for the test. What’s the big deal?’” she says. Excelling at school, she gained admission to and attended Brown University. Warikoo’s upbringing and experiences of exclusion fostered a simmering resentment toward her community, but she also believed in the power of meritocracy — it was largely due to her individual effort, she thought, that she had earned a spot at an Ivy League school. After all, she had worked hard inside and outside of the classroom and had succeeded academically. But, she says, “I didn’t have a way of talking or thinking about race and ethnicity” before arriving at Brown. These early experiences — plus many more to come — relate to the complex intersections of race, meritocracy, and college admissions, which eventually led Warikoo to publish The Diversity Bargain in 2016. In the book, she analyzes Brown, Harvard, and Oxford undergraduate students’ attitudes about these interwoven topics. In a nutshell: students, especially white students, arrive at elite institutions expecting to be enriched by the multicultural environment in which they now find themselves. Unless, of course, the existing diversity affects their own chance at landing an internship, job, or other coveted opportunity. Instead, Warikoo says, when students arrive at college they are likely to see the worlds of race, meritocracy, and admissions through a combination of four race “frames”: colorblindness, diversity, power analysis, and culture of poverty. These frames shape how we understand the world and have a deep impact on how we interpret individual success. If you view the world through a colorblindness frame, Warikoo writes, then race has little social meaning, and meritocracy — like gaining access to an elite university — is due to individual effort. Equal rights legislation, the end of legal segregation, the recent presidency of Barack Obama, and the overall decline of blatantly racist attitudes — the recent uptick notwithstanding — all contribute to a worldview in which it’s easier to ignore the role race plays in society. On the other hand, students who view these issues through the diversity frame appreciate the possibility of learning from those different from themselves. For example, several of the Harvard students Warikoo interviewed for her book viewed Cultural Rhythms, an annual, student-run event, through this lens. Cultural Rhythms includes a showcase for various student groups to perform dance, music, martial arts, and other aspects of cultural heritage. “There are a thousand people who come, and you get to see the South African dance team … and the Irish step dancers. All of the groups perform together on one stage. So, for me, that’s really a beautiful and a powerful picture of the tremendous artistic creativity that every one of these minority groups brings to America,” Genevieve, a white sociology major, says in The Diversity Bargain. Students bring these frames with them to college, and for many students, the diversity frame gets even more pronounced, Warikoo says. “There is a very strong culture in a lot of these places [college campuses] where diversity is important.” And that’s good. Still, she adds, actual discussions of inequality are often lacking unless students are plunked into particular spaces on campus like Brown’s Third World Center and Transition Program, which offers workshops for students to more fully grasp racial oppression through the lens of power and privilege, among other topics. Warikoo explains how students could also see the world through more than one frame, like Orin, a white student who felt that affirmative action made sense (diversity frame) but also felt that some “cultures” didn’t emphasize education as much as others and therefore students in those cultures would be less motivated to go to school — an example of the culture of poverty frame. And frames can change. Even though Warikoo had experienced discrimination growing up, it wasn’t until her time as an undergraduate that she began to understand the history of systemic racism in the United States; she had arrived on campus seeing the world mostly through the colorblindness frame, she says. At Brown she learned more about the complexities of racial history in the United States, especially in regards to African American history and exclusion. An expanded understanding also helped her to realize that her own upbringing in Johnstown was a complicated mix of exclusion and privilege. There were reasons why she ended up at an elite college when many, if not most, of her classmates did not even attend college, she says. Her parents were college graduates with professional jobs, and they had the resources to send Warikoo and her siblings to academic summer camps and pay for private music lessons, for example. “I think what I didn’t understand at the time were the ways that my parents’ own background helped me be very successful in school,” she says. Late night conversations in dorms and other casual encounters also contributed to Warikoo’s burgeoning understanding about race, spurring her to begin seeing the world through a different frame than the one she arrived with — the power analysis frame, which views the significance of race in terms of unequal relations between groups. “I was so surprised about what felt like … people’s willingness to say things that I found kind of offensive. Right in front of me, you know, whereas in the United States, I think it’s the opposite,” she says. While she may have been offended, it led her to consider more deeply how and why this type of dialogue is often more uncomfortable, if not completely avoided, on many American campuses. In The Diversity Bargain, she explores these moments of misunderstanding and discomfort and disconnect that come to a head, she believes, due to a lack of meaningful interaction and dialogue between races both at home and at K–12 schools. By the time students arrive on college campuses, they often find themselves navigating these scenarios for the first time. Warikoo recalls the story of a black student and her black friend heading to a black sorority party at Brown with two white friends. They arrived at the party, suddenly realizing that the two white friends had disappeared right before they were to climb the steps into the house. It’s clear from Warikoo’s research that there is a long way to go to foster more meaningful interracial dialogue and interaction at Harvard and other colleges, which is where parents and K–12 institutions come into the picture. Mica Pollock, a former Ed School professor and current professor and director of the Center for Research on Educational Equity at the University of California, San Diego, has long studied educators’ key roles in daily efforts to promote antiracism and equality. Pollock’s new book, Schooltalk, focuses on “flipping the script,” meaning, in part, countering fundamental misinformation with more fact-based talk. Pollock advocates for getting to know actual people through structured dialogue and introducing texts that allow students to access complete information, diverse voices, and diverse experiences. Educators also need to talk with young people about the world we live in, our nation’s highly racialized current events, and our experiences of those events, she says. Many organizations, including Teaching Tolerance, Rethinking Schools, and the National Education Association, among others, provide useful materials for educators looking to bolster curriculum in these areas. In addition to improving opportunities for student dialogue and curriculum in K–12 institutions, Pollock contends that educators also need to talk to one another about their own behavior regarding race. “We need to consider critically how we are providing opportunity to students, or not, how we are disciplining students, how we falsely imagine students’ abilities, whether we are providing specific supports needed by specific young people, and how we ourselves treat young people,” she says. And when it comes to curriculum, a growing number of educators — and parents — say that schools should expand what's taught. But it’s not just schools that have a duty to address these issues. Parents can contribute as well. One way parents can alleviate this avoidance is, unsurprisingly, to talk with their kids about race and other issues. “Parents can help prepare all children by openly talking about race, inequality, privilege, and difference, starting at a young age. These are topics that children inevitably notice whether we acknowledge them or not,” Warikoo wrote in a 2017 interview with Senior Lecturer Richard Weissbourd, Ed.D. '87, in the Huffington Post. For example, parents can ensure that their children are aware of more nuanced 20th-century American history, like residential redlining, beyond just learning about Martin Luther King Jr. and the civil rights movement. There are plenty of resources that illuminate racial disparities in our housing, criminal justice, welfare, and education systems, she says, adding that families of color tend to find this much easier because the impacts of race and racism are much more obvious in their lives. “And I think understanding that history is very powerful. It’s hard not to support affirmative action when you understand that these campuses were built on the backs of slave labor. And African Americans were systematically excluded through the ways that people were admitted and are still underrepresented at elite universities. When you understand these things, it’s hard not to understand the importance of racial justice,” Warikoo says. In turn, white students, for instance, might better understand why black students associations exist in the first place. But for students like those who “dipped” at the black sorority party, the effects of residential and school segregation often serve as a major impediment toward comfort when it comes to having meaningful, crosscultural exchange before students leave home. It might seem challenging to address these topics in today’s political climate, but Warikoo is optimistic that despite the partisan rancor, there’s hope to make real progress to advance meaningful dialogue and action. There is still a lot of work to be done once students step foot on campus, she says, but that’s just one piece of the puzzle. “Higher education is a really important place where this can happen, but it’s got to go beyond that,” she says, and begin with productive — albeit difficult — conversation and lessons for younger students. Paul Barnwell, a former teacher in Kentucky, is a freelance writer whose pieces have appeared in The Atlantic and Education Week.